Charlie Puth is joining Team Adam! ET’s Sophie Schillaci caught up with The Voice’s Adam Levine, and he revealed that Puth will serve as his team’s mentor for the show’s upcoming 16th season. This marks Puth’s second appearance on The Voice; he previously served as Alicia Keys’ team mentor on the show’s 11th season in 2016. “He’s mega talented and he’s my friend and he’s cool and I love him,” Levine gushed of the 27-year-old “Attention” singer. The duo have been friends for years after meeting while driving on California’s Pacific Coast Highway. Levine and Puth spotted each other, rolled down their windows and agreed to meet for lunch. “And half your stuff is at my house,” Puth added. Puth and Levine’s real-life friendship is clearly evident, but Levine assured fans that “nothing” could change his bromance with fellow Voice coach, Blake Shelton. Puth jumped in to confirm that Shelton and Levine’s onscreen persona isn’t just for the cameras, but rather a clear representation of their real-life relationship. “Also I really don’t like Blake,” Levine added. “I’m trying to smooth that over,” Puth jokingly chastised. 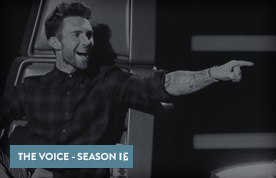 During the sit-down, Levine also opened up about John Legend, The Voice’s new coach for season 16. Levine wasn’t shy about his love for Legend’s wife, Chrissy Teigen, either! 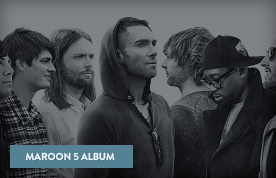 The Voice premieres Feb. 25 at 8/7 central on NBC.